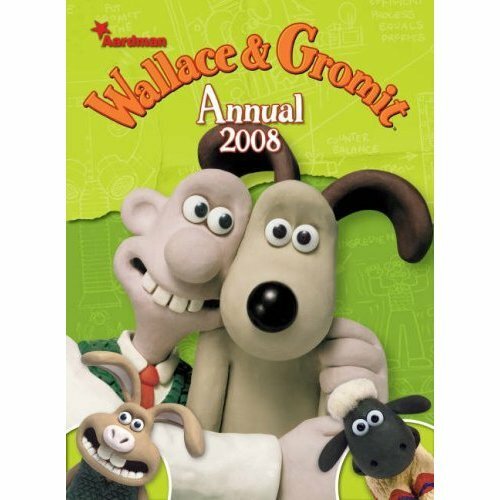 Wallace & Gromit, Oscar-winning stars of the Oscar-winning smash hit movie "Curse of the Were-rabbit" and a series of classic animated shorts, now have their own amazing, extra-cheesy annual that's fun for the entire family! Absolutely jam-packed with unmissable comic strip adventures featuring your favourite inventive duo, along with plenty of ingenious puzzles, quizzes and cheesy features! As Wallace would say, "It's cracking, Gromit!" Multi-award-winning Wallace & Gromit are the superstars of the animated world, and with their unique British humour and creative approach to life, they are now amongst our best-loved characters, appealing to children and adults alike.